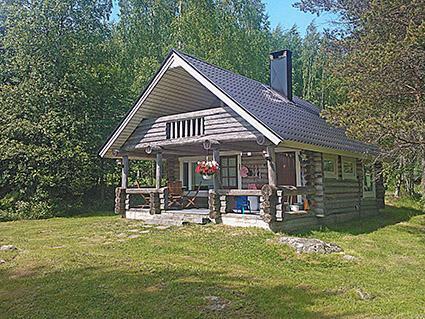 170 km north-west of Jyväskylä. Lake Jäppäjärvi 20 m (length 5 km, breadth 1 km), shallow water, firm sanded clay bottom. Own boat. 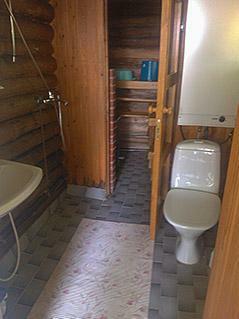 Log cabin 1993, kitchenette, living room with 2 extra beds, sleeping loft with 3 beds, washroom, sauna, open veranda. 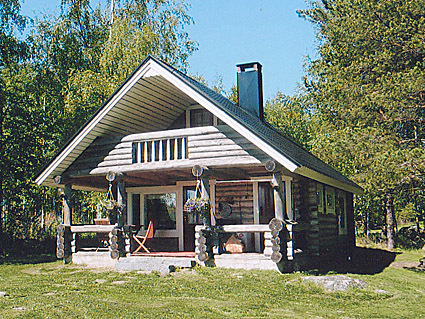 Smoke sauna in use at the same price. 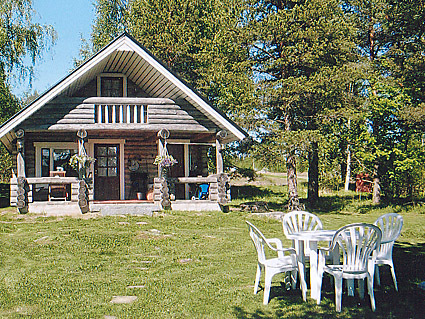 Front of smoke sauna there is a barbique shelter (gas grill) in shared use with one other cottage. 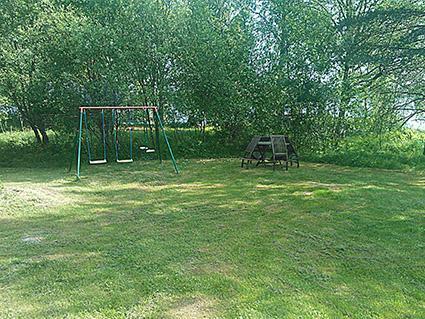 In 200 m distance there is a barbique hut and playhouse for children (also in shared use with one other cottage).